[Abortion advocates who make that argument] are saying that the average American woman, living after the reversal of Roe, would be completely incapable of the following train of thought: "This pregnancy hasn't come at a good time. There's a pregnancy center a couple miles from here that might be able to help me out, but will that be enough? I suppose I could take a semester off. Or maybe I could take online classes instead. Will I have to take out a loan? Move back in with my parents? Get a second job? Go on welfare? Place my baby with an adoptive family? I'm not thrilled about any of these options. On the other hand, they are much better than the option of sticking a sharp object up my privates and hoping for the best." At the time, I failed to mention another possibility: that restoration of the right to life will cause women who don't want a baby to be more careful about their contraception and thus avoid the crisis pregnancy in the first place. I don't remember exactly why I left that out, but it probably had something to do with not wanting to accuse anyone of currently using abortion in lieu of birth control. After all, even if you think abortion is morally acceptable, it's not a pleasant experience. It's also pricier than avoiding unplanned pregnancy in the first place. So why would anyone deliberately choose abortion over contraception? I stand corrected. As it turns out, women do indeed respond to abortion restrictions by obtaining better birth control. A recent study shows that this is already happening in the United States. I'm a bit late to the party; the study was published last month. But better late than never. In the past decade in particular, there have been substantial increases in the proportion of women of reproductive age living in states with highly restrictive abortion policies. Against that backdrop, the authors sought to understand how women’s contraceptive behavior is related to restrictions on abortion access in the state where they live. To do so, they analyzed data from 14,523 women aged 15–44 from the 1995 and 2010 cycles of the National Survey of Family Growth in conjunction with information on state-level abortion context. 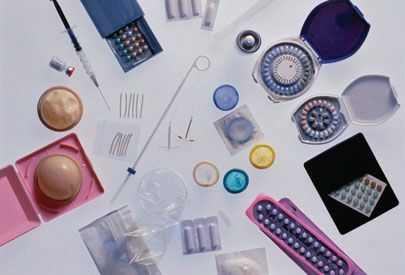 The analysis suggests that women living in states with more restrictive abortion contexts tend to use highly effective contraceptives. However, increases in states’ restrictiveness during the study period did not appear to be associated with increased use of highly effective methods. The authors propose a likely explanation: that states introducing restrictive legislation already had significant restrictions in place, and women living in these states had previously adjusted their behaviors. Additionally, the authors note that contraceptive choice seems to be most strongly influenced by individual characteristics, irrespective of the larger abortion context. The authors propose that the best way to prevent unintended pregnancies is to ensure access to highly effective contraceptive methods for all women, particularly in contexts where access to abortion is limited. We find restrictions on abortion availability (through abortion legislation mandating parental consent or notification) induce women to seek a reliable form of birth control to avoid unwanted pregnancies, while pro-choice sentiments in the legislature may have the opposite effect. "Pro-choice sentiments in the legislature may have the opposite effect" is the closest anybody comes to acknowledging the obvious implication that women are currently using abortion as birth control in states with few protections for the preborn. In conclusion: when the right to life is restored, the sky won't fall. Instead of using abortion as birth control, women will use birth control as birth control.